Historically myrrh has been used for treating many health conditions such as canker sores, gingivitis, and arthritis pain. This tree resin was carried in small bags or pouches by those who used it. Making a knitted myrrh bag would be a unique, fun project. This is a guide about knitted myrrh bag patterns. 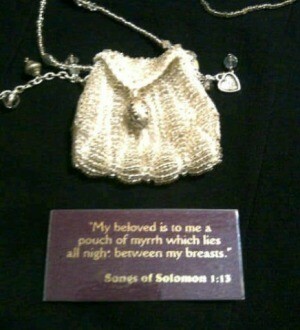 I need a knitting pattern for a myrrh bag with beads. 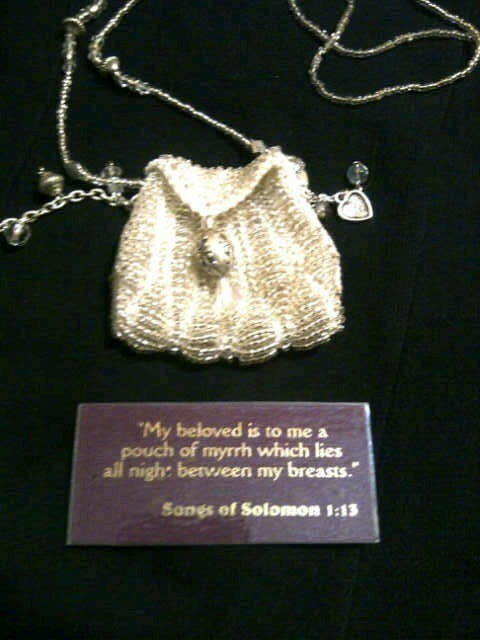 It is similar to the bag people wore years ago around their neck, filled with myrrh for health reasons. I do have one, see photo. I cannot find a pattern anywhere. I would really appreciate any suggestions from the members. This is not just knitted, it is beaded which makes it a whole new ball game. Take your photo to a knit shop. They will be able to help you. has lessons for bead knitting. You can add beads to any knitted item. Beads must be strung onto yarn first. Beads must have a large enough hole to allow a double thickness of the yarn/thread to pass through. Learn the technique, practice it, select the pattern for coin purse of your liking. Enjoy.